Blue Earth Farm is a small scale, restorative, family farm specializing in pastured chicken, pork and raw honey located in Buda, Texas. Javier and Joanna provide the organic fed, pasture raised chicken for our meat CSA. Located in Maxwell, Texas, Boxcar Farm and Garden is committed to building soil health, catching rainwater, and producing the best pastured pork you've ever had on your fork. Leah and Gabe provide pastured pork for our meat CSA. 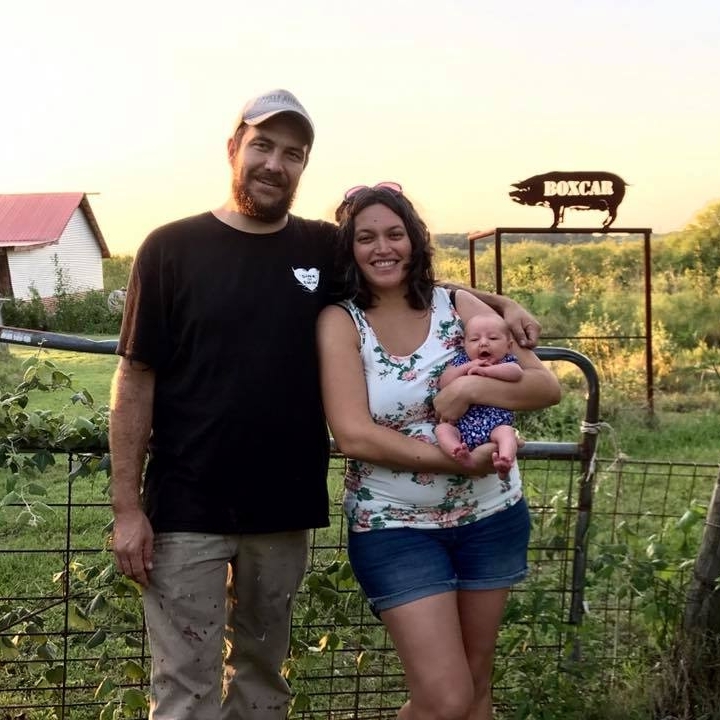 Emadi Acres Farm is a small family farm in Lockhart, Tx that produces fresh fruits, vegetables, and pasture raised eggs with eco-friendly practices. NO chemical pesticides, fertilizers or other artificial agents are ever used. Honestly grown, wholesome food. Derek provides vegetables for our produce CSA. A married couple team, Fagan Family Farms in Kyle, Texas specializes in locally grown organic goodness, particularly the green leafy variety. Gray Gardens is a sustainable urban farm in Buda, Texas. A six year old commercial farming operation, their motto is "From Seed to Table with the help of our Community." Jonas, Nick, Sherry, Robert, and Billy provide vegetables for our produce CSA. Reverse Pioneers in Blanco, Texas is a small family homestead specialize in dairy goats and micro-greens. Kasey and Michael provide micro-greens for our produce CSA. River Bottom Farms runs along the San Marcos River on edge of the Black Land Prairie. They cultivate seasonal produce and pasture raise beef cattle from the nutrient dense clay soils. River Bottom Farms follows bio-dynamic and organic farming and ranching practices to provide healthy flavorful food to our community. Hank provides vegetables for our produce CSA and pastured beef for our meat CSA. Thigh High Gardens is a Permaculture design based farm located on the outskirts of San Marcos, TX. Thigh High is home to an orchard of fruit trees, one acre herb and vegetable garden, large scale rainwater catchment and land restoration projects, and an annual music, art, and beer fair. Zach and Veronica provide vegetables and herbs for our produce CSA.